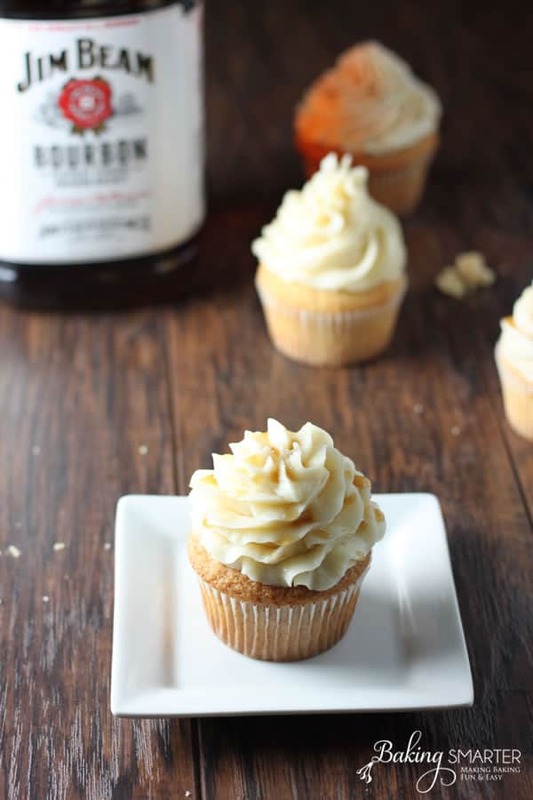 It was our friend’s birthday, and he loves Jim Beam bourbon, so we bought him a bottle and I thought it would be fun to make him some bourbon cupcakes. 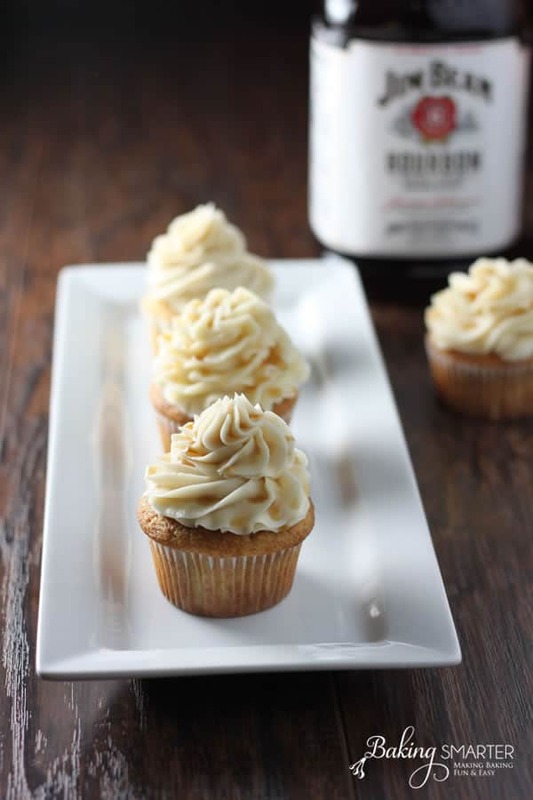 I tried a couple versions of a recipe and finally arrived at what I thought was the yummiest Jim Beam cupcakes and bourbon buttercream frosting with a maple syrup drizzle. My husband and I thoroughly enjoyed our taste testing of the different variations on cupcakes and frosting. And, the final product was a hit at the birthday party! Mix the dry ingredients of flour, baking powder, and salt together and set aside. In a large bowl beat the soft butter and brown sugar together with an electric mixer on medium until fluffy, 3 to 6 minutes. Beat in the eggs one at a time. Then add the milk and whiskey, about 30 seconds. Reduce the mixer speed to low, and slowly add the flour mixture just until incorporated. Line 12 muffin tins and use an ice cream scoop to fill ⅔ full. Bake 18-22 minutes, or until light golden brown and a toothpick comes out clean when inserted. Let cool for a couple minutes before transferring to a cooling rack. 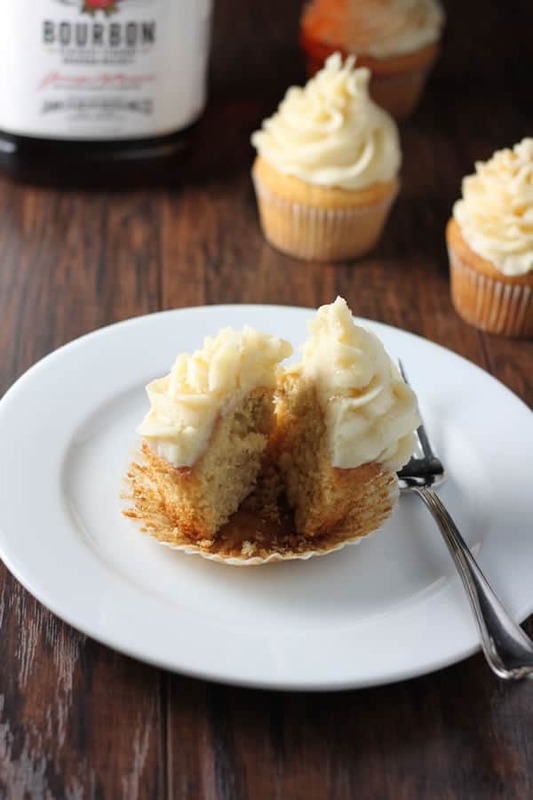 While cupcakes are baking, beat soft butter on high until fluffy. 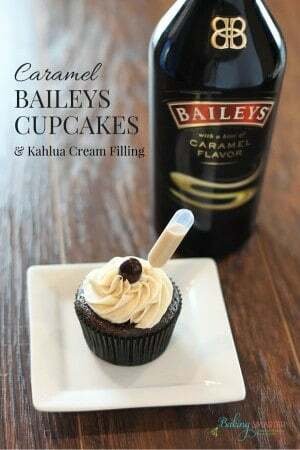 Add vanilla extract and bourbon. Then add the heavy cream little by little to get the perfect consistency. 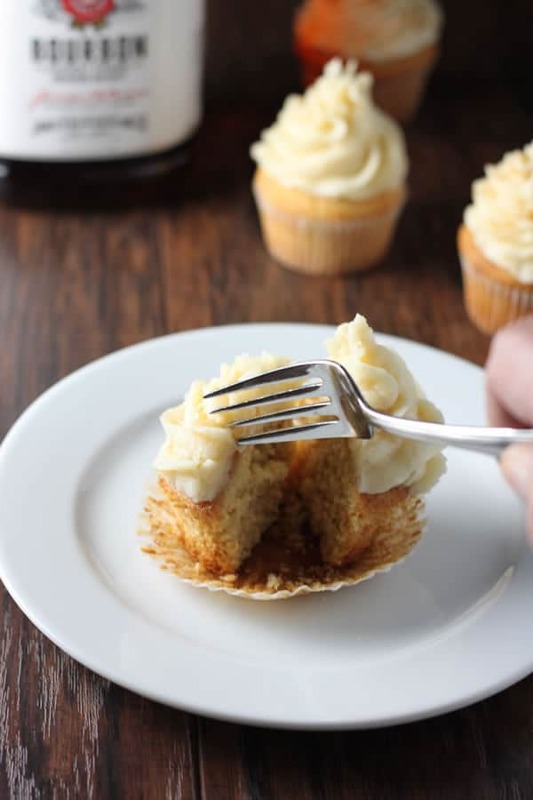 Fill a disposable piping bag fitted with a large star tip, and frost completely cooked cupcakes.